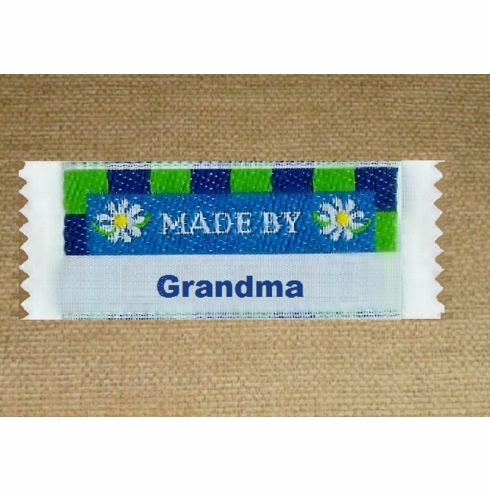 This label is woven in multicolor thread blue, green, and yellow. Let us add the name you chose to this label. Label 7/8" x 2 1/4" or 22 mm x 57 mm., washable, dry cleanable, and dryer safe.